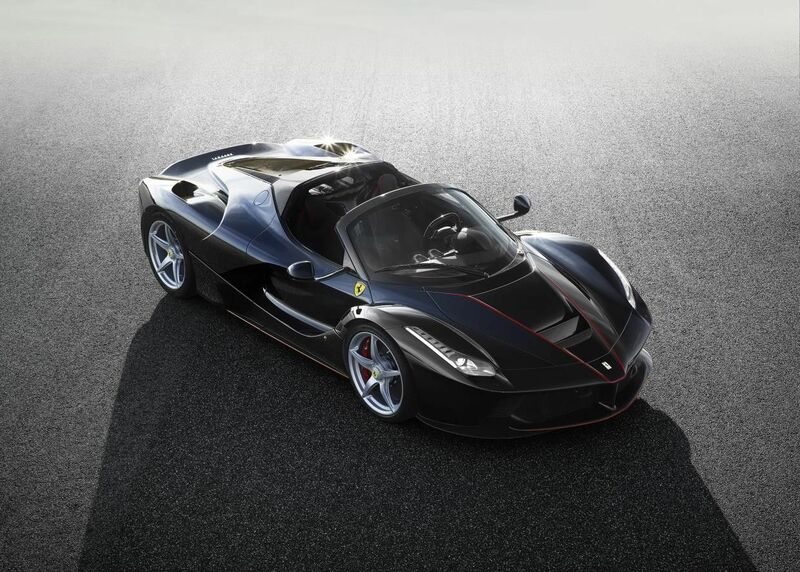 Ferrari has published the first official pictures of its “flagship flagship”, a convertible version of its LaFerrari hybrid hypercar. Aimed, in the company’s words, at clients that refuse to “compromise on the joy of al fresco driving even when at the wheel of a supercar”, the new car will be a strictly limited edition and will boast both a removable carbon fiber hard top and a removable soft top. As well as chopping off the roof, Ferrari says that it has had to make extensive modifications under the skin to ensure that the open-top car offers the same performance figures as its hard-top counterpart. The car mates a naturally aspirated 6.3-litre V12 engine to an electric motor for a total output of 950bhp and instantaneous acceleration when the driver’s right foot is pressed hard down. The car will make its official debut at the Paris Motor Show in September where Ferrari will reveal more details about the car including its price and the number of examples it is planning to build.